The National Association of Government Approved Freight Forwarders (NAGAFF) on Thursday urged the Assistant Inspector General of Police(AIG) Maritime Command, Alhaji Alkali Baba Usman, to as a matter of urgency, checkmate illegal activities of some police officers who are on duty at the ports. The association made its complaint known when the AIG paid a courtesy call to the NAGAFF Village in Apapa, stating that the illegal activities of such police officers worked against the provisions of the Federal Government’s Ease of Doing Business at the nation’s ports. 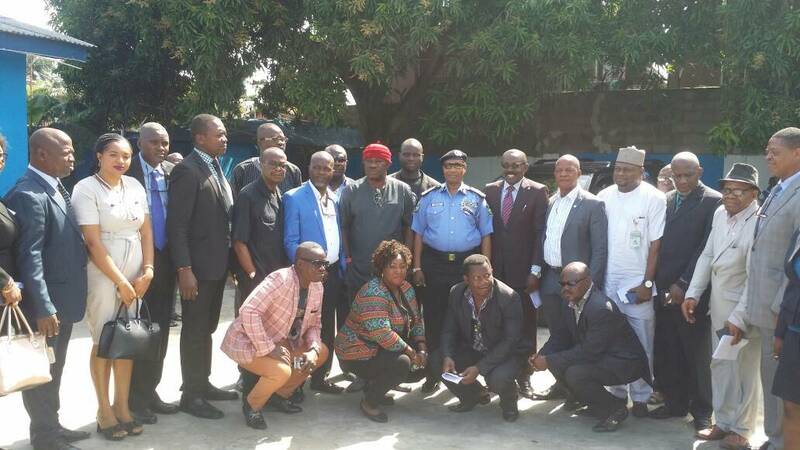 Speaking during the event, NAGAFF President, Chief Increase Uche told the AIG that the police officers on duty at the ports continually harassed freight forwarders and customs agents who have legitimate right to clear their goods out of the ports. Uche said the association was worried about incessant abuse of powers by general duty officers and unauthorized police operatives within and outside the port. He said that the police officers have been in the habit of stopping container already cleared at the ports, a development Uche described as among the major obstacles to the ease of doing business introduced by the federal government. He also accused the Ports Police of violation of the rights of practitioners, and called on the AIG to address such issues. The NAGAFF President also accused other various agencies of government at the ports of violating the rights of agents, and particularly accused terminal operators and shipping companies of high-handedness. Responding, the AIG commended NAGAFF members for being among those that discharge their duties properly, explaining that the major responsibility of the Police at the port was to provide security, law and order. He added that the major cause of harassment was when one deviates from obeying the law and order. He also reacted to the reasons why Police stops containers in the port, saying this was to check cases of hacking of licenses and stolen vehicles. He said that containers have to be stopped for investigation, particularly in the case of false declaration. He however said that the agencies at the ports are collaborating, assuring that cases that are supposed to be handled by a particular agency directly are equally handed to them. He promised to further discuss any damage caused by the stoppage of containers moving out of the ports. “If the stoppage is causing damage to a genuine patriotic Nigerian, we can discuss about it. There is no problem without solution. I am not denying excesses of police. For every actions and inactions of a police officer knows if he is doing the right thing or not. Punishment and reward is there to discourage bad work and encourage good work. Our doors are open if there are excesses on our side,” he said. The founder of NAGAFF, Dr. Boniface Aniebonam, in his remarks asked the AIG to check the activities of PTML terminal. He accused the management of the terminal of defrauding Nigerians by preventing freight agents from entering the port.